Our Service department is staffed with the most qualified technicians ready to answer your questions & address your service needs. Use our online form to schedule an appointment or contact our service department if you have any additional questions. If there's one thing at Audi Lafayette we love more than the lineup of new and used vehicles in our Lafayette showroom, it's the excitement we get out of helping New Iberia, Breaux Bridge, Youngsville, Broussard and Abbeville drivers find their match. We take the time to explore the features that are important to you and our knowledgeable staff is here to answer all of your questions. But what would buying a new car be without a test drive first? Visit Audi Lafayette where we'll get you out on the road to find an Audi vehicle perfectly suited to your needs. 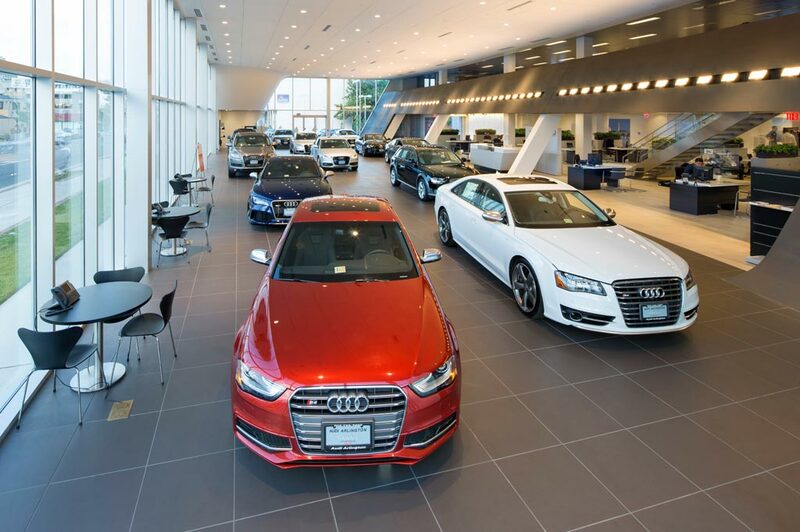 No matter your preference, Audi Lafayette has plenty of Audi options to choose from. Our online inventory is constantly being dated with listings of vehicles available in our showroom, including the Audi A3, A4, A6, Q5 and Q3. What matters most, though, is your opinion, and which model grabs your attention. We believe the process should be as stress-free as possible, so relax, keep an open mind and try to picture yourself behind the wheel.. Interested in the time-tested value of a pre-owned vehicle? Audi Lafayette has an incredible selection of used cars available here in Lafayette. Our reliable array of vehicles spans across several auto brands, so you're sure to find a pre-owned vehicle that perfectly suits your needs. Finding your ideal vehicle is the first half of the car buying equation. The second half is securing a car loan or lease that fits your current financial requirements. That's something the team at Audi Lafayette is trained to provide, and they do so by sitting down with you, one-on-one. That way, we can learn more about the kind of payment you're comfortable with, your long-term financial goals and address any other questions or concerns on your mind. Commitment to your new Audi from Audi Lafayette continues after you drive it out of our showroom for the first time. We want to make sure you get the most out of your vehicle and enjoy it for many years to come. You can find that support in the form of Audi parts for your vehicle needs. And, if we don't have them, we'll order them for you. There's also car service from our team of maintenance specialists who will have your vehicle primed to perform at all times with routine repairs, checkups, and more. So what are you waiting for? Give us a call at 888-709-1541 or visit us at 6160 Johnston St. in Lafayette, Louisiana and Audi Lafayette will provide you with a helping hand you can rely on. No matter the service, your needs are our priority and we'll do our absolute best to ensure you leave with a smile. Because even though vehicles are what we sell, customer satisfaction is our business.